Cold Pursuit is about Nelson Coxman’s (Liam Neeson) a snowplow driver whose quiet life is disrupted when his son is killed by a drug cartel. When Nelson discovers that his son was murdered, he goes on a revenge mission against the cartel and starts a gang war in the process. But why won’t people leave Liam Neesons children alone? Is it that they haven’t seen that messing with his kids will get you killed? People need to recognize that other than John Wick, Liam Neeson is one person you shouldn’t mess with? Moving on. Cold Pursuit is an adaptation of “in Order of Disappearance,” by Norwegian director Hans Petter Moland and is surprisingly good! 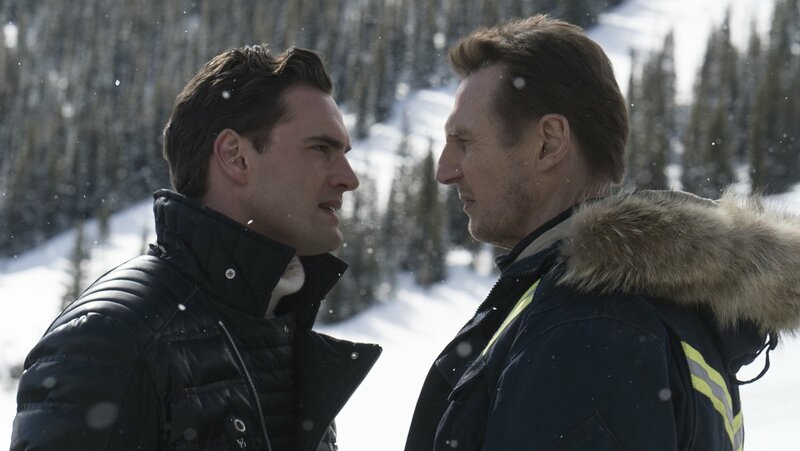 Honestly, I thought that this film will be just another revenge film as Liam Neeson is want to do but balanced with the frigid background, Cold Pursuit is riveting with a lot of action to keep the film going at a good pace. But the most surprising thing with Cold Pursuit is that the producers managed to infuse some satire and dark comedy into the film which was unexpected and kept the audience interested. Despite the highlights of this film, it was full of clichéd scenes and sequences. The action sequences though fast paced and gritty still aren’t anything you haven’t seen before so to that extent it was unoriginal. Furthermore, the plot (which isn’t novel either) had one of the most unsatisfying and predictable conclusions which made Cold Pursuit seem like a drag. Have you seen Cold Pursuit? What did you think? Leave me a line in the comment section or on Twitter and Facebook. Thanks so much for always dropping in, I really appreciate it.